We shipped out Jessica & Josh's wedding invitations. 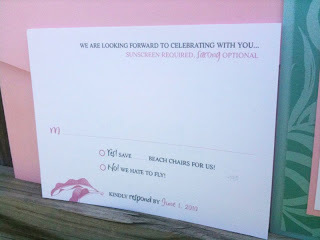 These invitations are just plain CUTE! 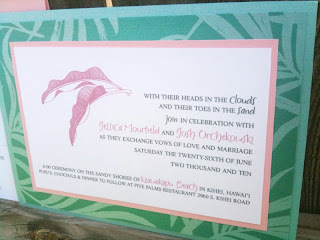 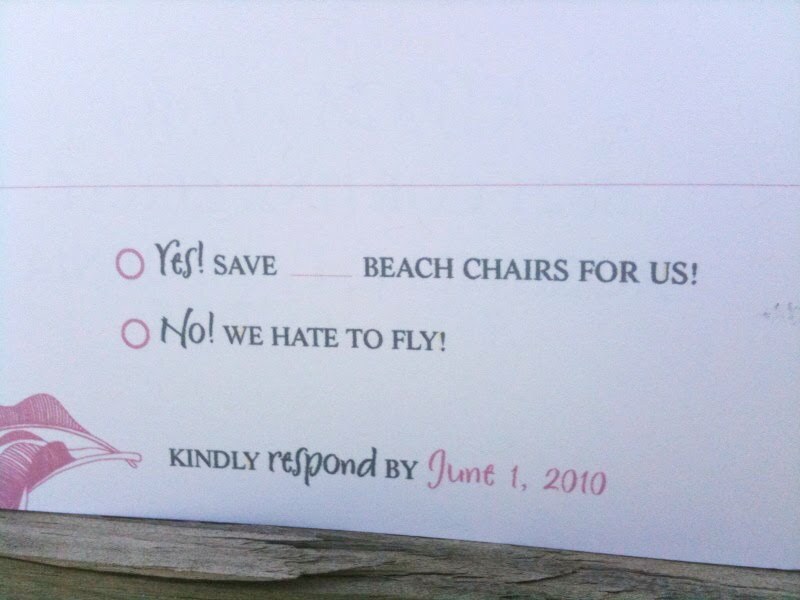 They chose the Beach House wedding invitation suite. 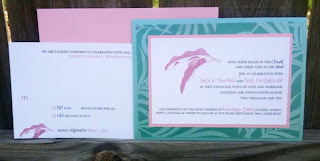 We changed the colors to Caspian & Tourmaline. They give you that lovely, breezy, island feel of Jessica & Josh's Hawaiian wedding.